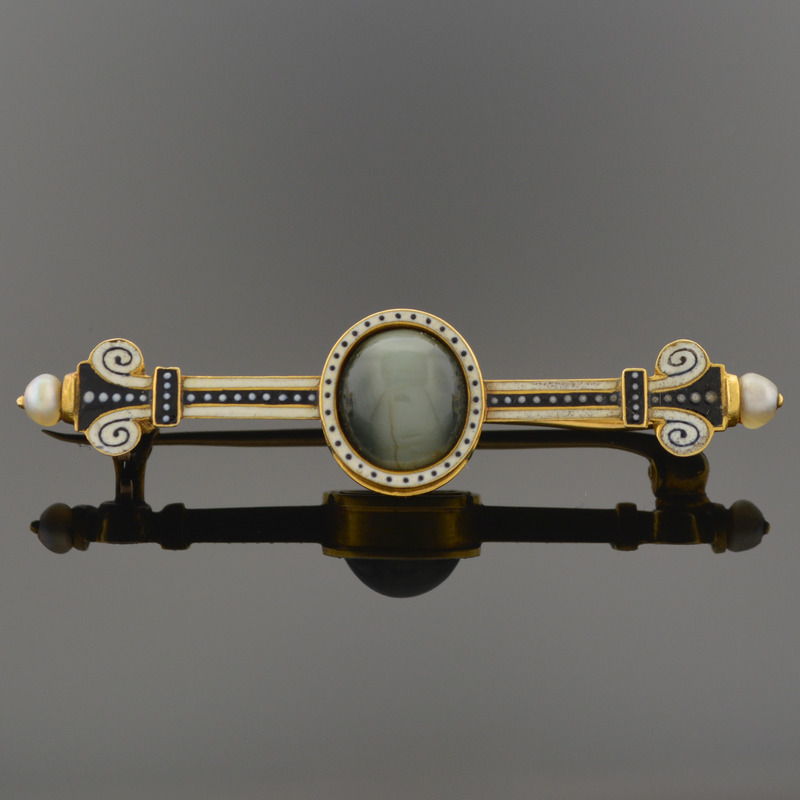 Black and white opaque enamel executed in pique fashion perfectly accentuates the chrysoberyl cat's eye center stone and pearl tips of this dainty bar pin. Signed "C.G." with original fitted leather case, stamped "Collingwood & Co."